One of the best things about living in Nashville is having hundreds (if not thousands) of amazing event spaces + venues right at your fingertips. There is always something going on and always something to do in here in Music City. One of the best things we love about our job is being able to see all of those incredible spaces + venues, while being a part of your incredible events. Hence I wanted to create a new blog series that focuses on some of our favorite venues in and around Nashville. It would be really hard to cram all of them into one post, so I figured I would just go down the list, alphabetically. In case you missed February's A team list, please click here! Exactly one month later and we're back to continue! These venues are anything but on the "b-list." In fact these are some of the hottest venues around town. Not all barns and not all bars, but instead an even mix of big city meets small town that makes Music City one of the best spots for destination weddings + events in 2017. Let's go round two with the letter B..
"Bagsby Ranch is a memorable venue for both personal and corporate events in Gallatin, Tennessee. We have hardwood floors, air conditioning, restrooms, a bridal suite and groom quarters, and a catering and prep area. When you first walk through the door, you'll see a beautiful dual staircase leading up to a balcony that covers the barn. Our venue combines luxury and classic style in a barn and a country setting with elegant lighting, and 8' wide chandeliers." Bagsby Ranch is a hidden gem among beautiful venues around Nashville, and one that our team as fortunately become familiar with. From weddings to private events, this is an ideal venue because it has all of the must-have farm features but with modern luxury's. To learn more about what they include, property details, and more for your next event, contact them today! 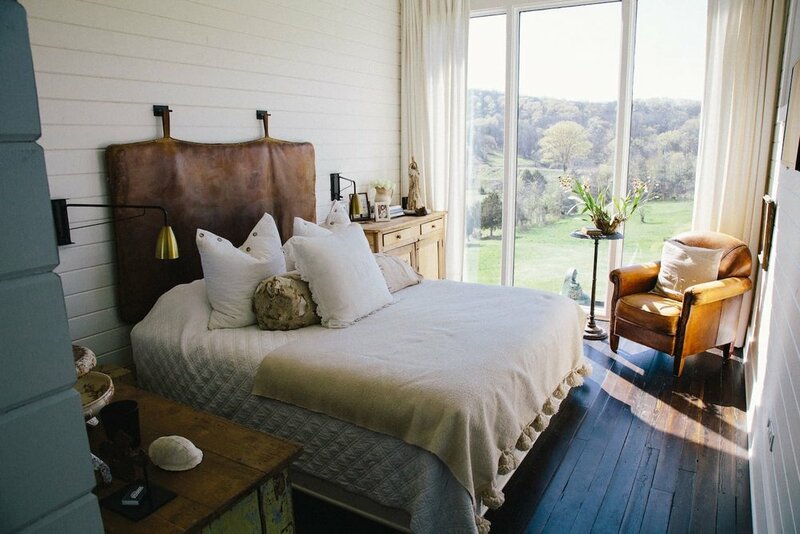 Complimentary to the name, Barn in the Bend is a 40 acre farm that's literally nestled in the bend of the Cumberland River overlooking the Nashville skyline, the town of Goodlettsville, and beautiful rolling hills. Barn in the Bend is a family farm that has been operating since the early 1940's, with dairy, swine, cattle and horses on the property. A wonderful venue for weddings, private parties, and corporate events as the venue has a 8,500 sq.ft. 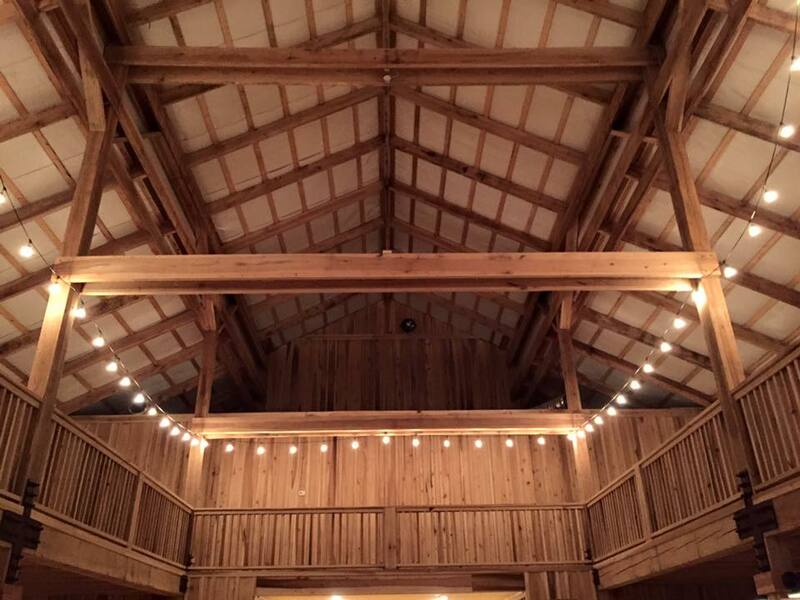 "party barn" that accommodates up to 450 guests. You really can't go wrong when you host an event here, so contact them today! On a quiet country road, this 7 acre farm provides a serene setting for your special day. The original oak interior remains. 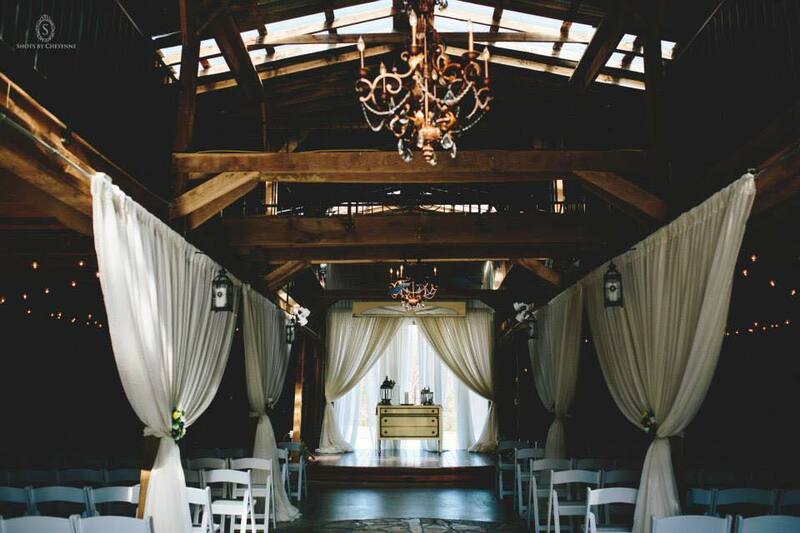 The Barn has a concrete and stone floor and rustic chandeliers overhead. For additional warmth during cooler months, we added a large stone fireplace with gas logs, as well as 2 additional propane wall heaters. Electricity and a water source are available. With a beautiful treelined entry way, patio and extensive landscaping, you will find many locations for photographs. The Barn is able to comfortably accommodate up to 150 guests. The gravel wraparound provides easy access to both the front and rear of the building. Adjacent to The Barn is a large parking area. There is a stage in the rear of the barn, complete with an overhead door for easy unloading of music gear or other props. The double swing out entry doors offer plenty of space for guests to come in and out. Coupled with 6 skylights, there is plenty of natural light. The 30+ year old building has a stone, stucco, and metal facade. To learn even more about this gorgeous venue, please contact them today! To our North, Belle Hollow is a versatile event space tucked within Miss Lucille's Marketplace in Clarksville. This venue has been transformed from an antique boot factory into a 3,600 sq.ft. private venue, while still holding onto it's original character.. Exposed brick walls, loft trusses, chandeliers, and all of the original details in between. Another great part of this property are the other spaces located on the same site; an outdoor ceremony site that can be left simple or can be draped with linens + greenery for a romantic touch, in addition to a large patio with an exposed brick fireplace and string lighting that's perfect for cocktail hour or a dinner party. A truly versatile space that has more character than most, this is one venue that you don't want to skip over. Contact their staff today to learn more! Belle Meade Plantation is an award winning Wedding, Reception venue or Corporate venue with the backdrop of a historic farm setting, framed in beautiful flowering gardens, an 1853 mansion, all with the convenience of being in the heart of Nashville, Tennessee. Belle Meade Plantation's Boxwood Garden and Carriage House are premier Nashville landmarks making our venue the ideal location for your event. At Belle Meade Plantation, we strive to offer an elegant and relaxed atmosphere for your wedding or event at competitive rates. My husband and I have friends (pictured to the right) who were recently married at Belle Meade Plantation in the Spring, and I have to say it is one of the most beautiful venues in middle Tennessee. From the site options that you have, both indoor and outdoor, to the historic property itself, this is hands down one of the best venues in town. Our friends chose to have an outdoor cocktail hour, a plated dinner by the carriage house, and then took the dancing and celebration inside for the rest of the night. Take my word for it and don't overlook this venue. You'll be glad you listened to me, I promise! Maybe because I attended Belmont my freshman year, walking past this space daily for a year, or maybe because I love historical Victorian style homes.. regardless this is hands down one of my favorite places in all of Nashville. Belmont Mansion offers you the unique opportunity to host your wedding inside one of the most stately and opulent homes in the south. In addition to the beautiful indoor setting, there is also the option to have an outdoor celebration as well. Known as one of the most affordable venues in and around Nashville, surrounded by some of the most talented musicians and artists in Music City, the Belmont Mansion should definitely be on your list of must see venues. I mean how many other venues in Nashville can give your guests a beautiful view of the Nashville skyline for your ceremony? Contact them today to learn more! 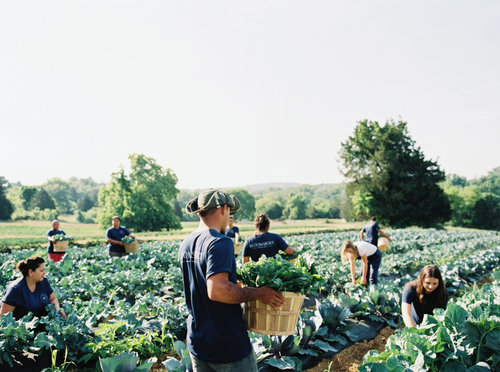 I'm not sure that it gets more organically beautiful than Bloomsbury Farms. As someone who was lucky enough to get a private tour from the owner, Lauren, of the property last year, I can openly admit that I love every single thing about this venue. Tucked into a windy road in Williamson county, it can be easy to miss but hard to forget. Bloomsbury Farms is a real currently working farm that combines rustic touches from the open air pavilion with a gorgeous mid century modern home that greets you at the beginning of the property and of course the perfect mix of Nashville meets small town in the details all around the venue. You have your choice of an outdoor celebration or you can immerse yourself + your guests in the on-site Greenhouses or in one of the barns, or really anywhere on this 425 acre farm. Or if you just need to escape the hustle and bustle of the everyday stresses of life, then you're book your stay at The Loft via airbnb. Perfect for relaxing, romance, and rest- this is the perfect getaway spot. I don't think I can express how obsessed I am with this venue, and I think you will be too once you see for yourself. Contact Bloomsbury online today! Growing up only minutes from Bluegrass Yacht and Country Club, I spent many summer days lounging by the pool, I attended a ton of private parties and events here, and ate many Sunday lunches here with my family. I guess you can say Bluegrass holds a special place in my heart. Bluegrass Yacht and Country Club promises a memorable event that exceeds the expectations of you and your guests– whether for business, friends or family. The elegantly appointed Glass Room opens onto a covered terrace for indoor/outdoor entertaining overlooking the 18th green. And for formal events, the Club’s Grand Ballroom accommodates up to 350 guests. 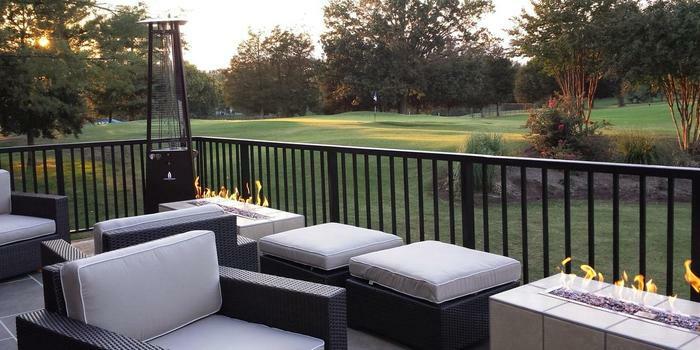 The clubhouse at Bluegrass Yacht & Country Club is a desirable location for an intimate evening or large-scale entertaining. Contact Bluegrass learn more! Nestled in the emerald green hills between Nashville and Franklin, the Brentwood Country Club is steeped in the history of charm, elegance, and grace of Tennessee. Sitting among majestic trees, some of which are the oldest east of the Mississippi, the Club’s 215 acres boast many breathtaking and panoramic views. 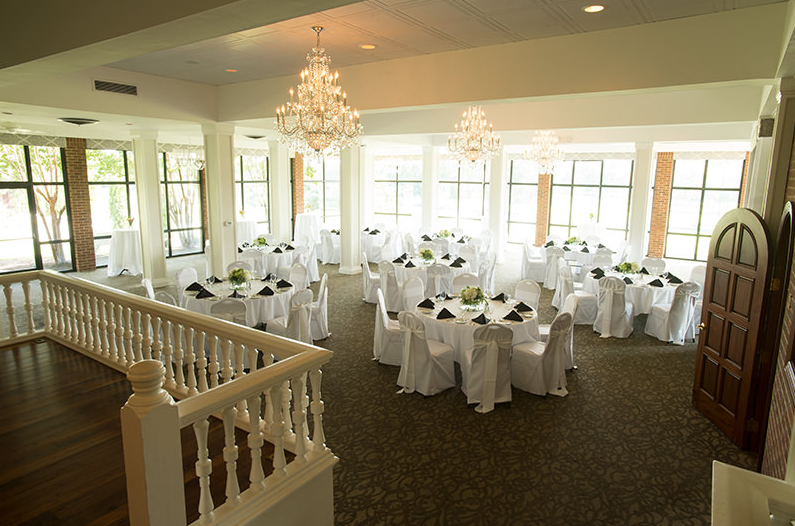 Ideal for rehearsal dinners, weddings, banquets, private corporate events, birthday parties, graduation celebrations, and much more - Brentwood Country Club is the perfect venue for any and all types of events. There are multiple indoor and outdoor entertaining venues, and a variety of dining options available. Contact them today and see why they're one of the best versatile venues! I know your first thoughts: isn't Bridgestone Arena just for concerts and Predators games? I thought the same thing, but as it turns out, Bridgestone Arena can be used an event space, more specifically the Lexus Lounge. The Lexus Lounge is great for corporate functions, product launches, and various celebrations. Located on the Performers Level, Lexus Lounge includes a membership roster of the who’s who that help shape Nashville's music, business and political climates. This exclusive club provides an unparalleled experience of luxury, relaxation and excitement with unprecedented access to players and other VIPs. While Lexus Lounge is an exclusive members only club during hockey games, Lexus Lounge is open to non-members for many Bridgestone Arena events. To learn more, click here to view the website! I'll be completely transparent with you right now: until last Spring when Brad on our team DJ'd a wedding at Brightfield Farm, I had never heard of it until then. 98% of that is because I was just moving back from Houston, but once Brad booked a wedding there, I started to learn more and more about this simply sweet venue. There is something so rustically romantic about it that I can't help but do a little happy dance every time we book another wedding there. The original tobacco barn, the 100 acre rolling hills farm, the organic lush greenery- I could go on and on. 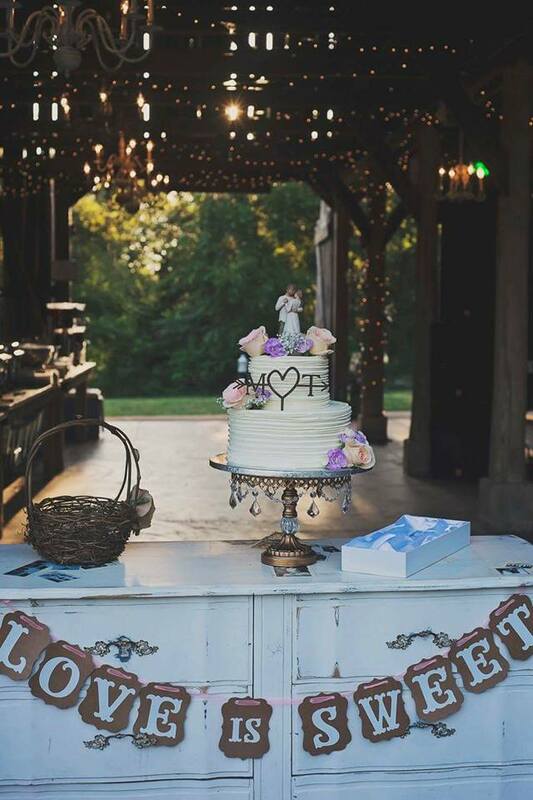 Everything about this venue screams Tennessee country chic meets free spirited bohemian hipster. Don't believe me? Check it out for yourself + plan a visit to Clarksville! 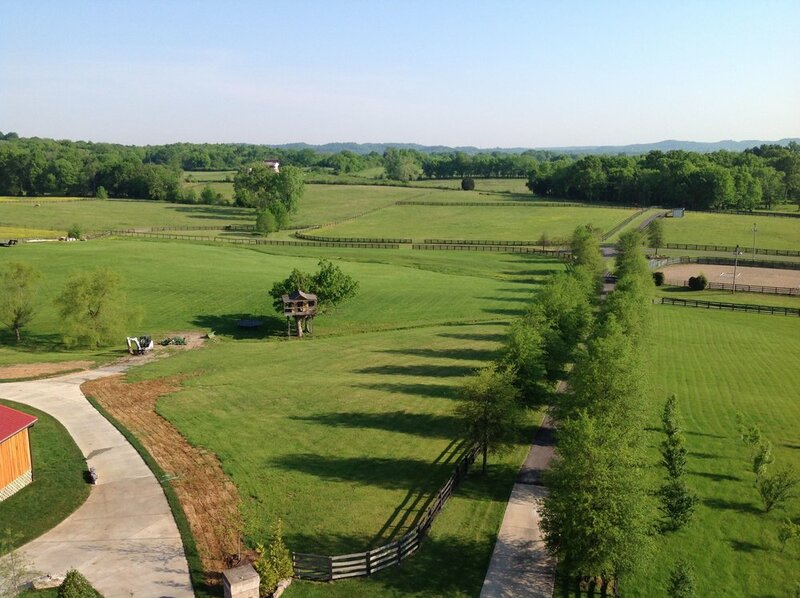 Located to the North of us in Kentucky, lies 650 acres of open fields and forest and a private venue space unlike most. Burdoc Farms has been in the Shepherd family for over 60 years, and they've been an operating wedding + corporate event venue since 2012. 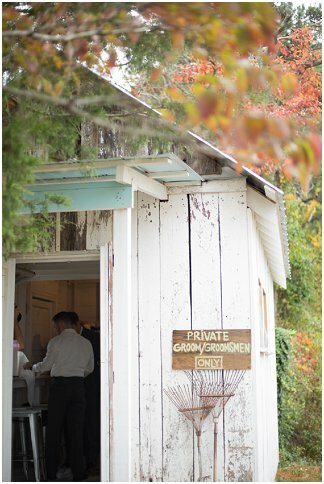 For weddings they offer two unique outdoor ceremony site options, as well as multiple barn options for the reception site. The character in the property as a whole is one of my favorite things about this venue, because they're all re-purposed, original pieces that are unique to the property and hard to find. Natural wood floors, wooden beams, a tin roof, Edison string lightening, old church pews, handmade pallet furniture that overlooks a pond, a 150 year old fireplace that was found on the family farm back in the 50’s welcomes guests on the patio. What was once an old homestead is now home to weddings and private events, nestled in time and preserved as elegantly as this venue. To learn even more about the venue, the history, and availability for your next event, please contact them online using this link! A great group of venues to continue on our new series, so be sure to check in next month for the "C" venues! That's a longer list, which means more information and pictures will be coming soon! Contact us today to secure your date for your upcoming 2017-2018 events and weddings. Cheers! Nashville Murder Mystery Experiences | "Music City Murder"